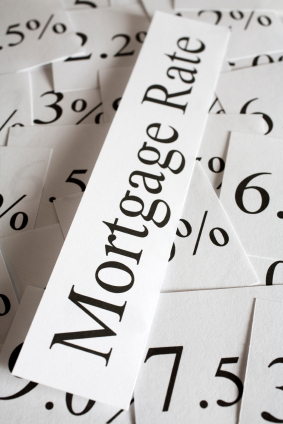 Today I’ll interrupt my usual Monday Morning Interest Rate Update to cover another mortgage-related topic that garnered most of the headlines last week. Last Thursday, our federal government released its 2019 budget, and it included several initiatives that were designed to improve housing affordability. While on first pass this will be welcome news for home buyers and for many of our now somewhat beleaguered regional housing markets, the federal government has thus far left out many key details that are needed to assess the full impact of its main new initiative, the First Time Home Buyers Incentive (FTHBI) program. Bluntly put, the announcement reminded me of a term paper that was written during an all-nighter the day before it was due (and my university roommates will confirm that I am somewhat of an expert on that topic). In today’s post, I’ll outline what we know about the two most prominent initiatives that were announced last week, I’ll offer my take on how these changes are likely to impact our regional housing markets, and I’ll explain why these changes should concern existing home owners across the country. The maximum withdrawal limit will be increased from $25,000 to $35,000 per eligible borrower. The HBP will now be available to Canadian home buyers who have experienced the breakdown of a marriage or common-law relationship. These tweaks to the HBP should be of help to some home buyers, but fellow mortgage broker Rob McLister noted in a recent article that there are about 300,000 new first-time buyers each year, and in 2017, only 20,250 (8.4%) of them maxed out their full HBP $25,000 allowance. Adding home buyers who have experienced a marital breakdown and would not otherwise be eligible is a helpful tweak, but here too the impact is likely to be minimal. While this cohort is likely to have accumulated larger balances in their RRSPs, it is not a large enough portion of the home-buying population to create much of a tailwind for our housing markets overall. The new FTHBI program will provide an interest-free shared-equity loan to eligible first-time buyers. In short, some first-time buyers who aren’t lucky enough to have access to a Bank of Mom and Dad will soon be able to access the Bank of Justin and Bill instead. First-time buyers must have a minimum down payment of at least 5% of the purchase price of the property. The program is only available to first-time buyers with annual household incomes of under $120,000/year. The total mortgage amount plus the FTHBI amount cannot exceed four times the participants’ annual household incomes. Subject to the criteria listed above, the FTHBI would provide eligible participants with up to 5% of the purchase price of a resale home, and up to 10% of the purchase price of a newly constructed home. The shared-equity loan is interest-free and must be repaid at the time of sale, in the same way that an interest-free loan from the Bank of Mom and Dad would be repaid. Can the borrowers refinance a mortgage that is tied to the FTHBI even though refinances are not insurable? If yes, is there a minimum time before a borrower can refinance? Can the FTHBI portion be paid off early? Would there be a prepayment penalty? If so, how would the property be valued at the time of early repayment? What happens in cases where one spouse is a first-time buyer and the other is not? What if the non-first-time buyer spouse doesn’t go on title? For employees, will the $119,999 maximum income limit be based on salary + bonus, and if so, will a two-year average be used to account for variable bonuses? How will self-employed-borrower incomes be evaluated in cases where borrowers leave a portion of their annual income in their personal corporations? Will the CMHC insurance fee on FTBHI-linked mortgages be based on the first-time buyer’s own down payment amount or on the down payment plus the amount being added under the FTHBI? I could go on, but I think I have made my point. By limiting borrowers to a purchase price of four times their income, the FTHBI program caps a first-time buyer’s maximum purchase price at about 10% less than they could otherwise afford. It seems strange to me that a program that was designed to help borrowers with affordability explicitly reduces it. In addition to having their purchase prices limited, I don’t think buyers will want to give up between 5% and 10% of their upside if the property increases in value. While it is true that the FTHBI program will also absorb some of a buyer’s downside risk, people simply don’t buy a property if they think its value will decline. Home buyers have an inherent expectation that their property will increase in value, and I don’t think they will want to share that increase. In summary, I think the changes to the HBP are mildly positive. House prices have increased substantially in the decade since the HBP limit was last raised, and the decision to allow people undergoing a marital separation access to their RRSPs will help them get re-established more quickly. Conversely, I think the new FTHBI program will become a bureaucratic nightmare to administer, and it comes with much more risk. For starters, while the federal government has assured us that the FTHBI program was designed to benefit less expensive housing markets, if the maximum purchase price is in the $500k to $600k range, it will concentrate its impact on the bottom end of the condo markets in Toronto and Vancouver, which “are already the most competitive” according to real-estate broker and data guru John Pasalis. Also, the Bank of Canada still believes that household debt levels are “the single biggest risk to our economy”, so if the FTHBI program is successful, isn’t the federal government worried that it will be offering lower-income first-time buyers another rope with which to hang themselves? Most concerningly, could the FTHBI be just a sign that our federal government has lost its nerve in an election year and is therefore bowing to political pressure, after a decade of prudent policy making appears to have successfully engineered soft(ish) landings in our hottest regional housing markets? Time will tell. The Bottom Line: Last week the federal government announced that it will increase the HBP limit from $25,000 to $35,000 and that buyers who are undergoing a marital separation will now be eligible to access the program. The government also introduced a new FTHBI program, but I think it will prove to be a complicated dud.